I started blogging about natural and botanical perfumery in 2009, and this will always be the year I began discovering the depths of its beauty. Scent Hive grew out of my love for perfume, but this passion has become more profound since I have been fortunate enough to meet some of the gifted people behind the creations. 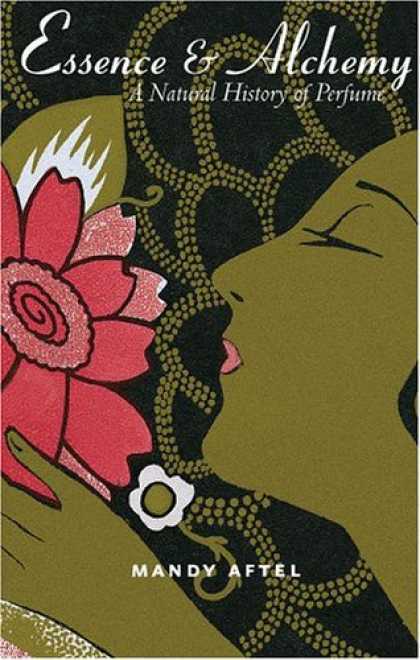 2009 gave me the opportunity to meet Ayala Sender of Ayala Moriel Parfums, Roxana Villa of Roxana Illuminated Perfumes and Julie Elliott of In Fiore, all extraordinary women devoted to the world of naturals. Each of them are fascinating individuals of course, but have a common trait of serenity in the midst of their bustling, independently-owned businesses which provide some of the most sumptuous fragrances I have ever come across. Other perfumers that I have not met face-to-face, but with whom I have corresponded via email and phone quite a bit are Mandy Aftel of Aftelier Perfumes, Laurie Stern of Velvet & Sweet Pea and Dawn Spencer Hurwitz ofDSH Perfumes. All of these women are some of the kindest people you will ever know, and their attention to detail in packaging their orders is exquisite. Opening a box from an artisan who has put much time and love into her creations takes on a deeper meaning in this tight economy and mass-produced society. It’s challenging to make a “favorites list” as there are so many fabulous perfumes I discovered this year. Nevertheless, I would like share some fragrances, beauty products, and experiences that have made an impact on me in 2009. 1). Reading Mandy Aftel’s Essence and Alchemy was a very poignant experience. Her book allowed me to delve further into the realm of fragrance, and appreciate the power of natural essences as a medium to transform and transcend one’s material world. It also provides a thorough history of natural perfumery and is very informative regarding the essences as well. I know Mandy has inspired many persons to become perfumers after reading Essence and Alchemy, and for me, it allowed my understanding and appreciation of this art to deepen and evolve. 2). Discovering DSH Perfumes’ 100% Botanical Perfume Collection was an olfactory highlight this year. Was I a kid in a candy store? Oh yeah. I wanted one of everything. Epices d’Hiver satisfied my need for a spicy, comfort fragrance this winter, and Yuzu will give me something to look forward to this spring when my citrus cravings ignite. Bancha is not available yet on the DSH website, but is here. I won’t reveal too much as my review is coming, but I will let you know that it’s Ayurvedic in inspiration, and entirely calming and beautiful. 3). 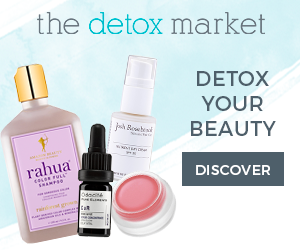 Julie Elliott relaunched her body oils! 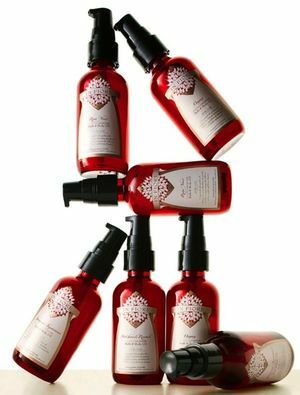 In February 2009 I wrote about In Fiore’s Maia Body Oil, even though it had just been discontinued. Thankfully, Julie listened to the collective sigh of disappointment and has given us Jasmin Supérieur, the Body Oil formerly known as Maia. Julie reassured me that the formula has not changed, only the bottle which is more user friendly as it now has a pump. When I visited In Fiore this fall, I tested all of her Bath & Body Oils (there are seven, pictured above) and left with a bottle of Patchouli Royale which is made with the most gorgeous vintage patchouli from Grasse, France. I still have my bottle of Maia, or else I would have walked out the door with Jasmin Supérieur as well because it layers beautifully with Patchouli Royale. 4). Kahina Giving Beauty, is a line of skincare based on organic argan oil. 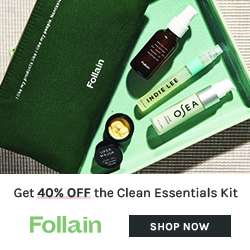 Founder, Katherine L’Heureux, gives 25% of her company’s profits to educational and women’s rights programs for the women of the Moroccan argan cooperatives, an incredibly generous action. 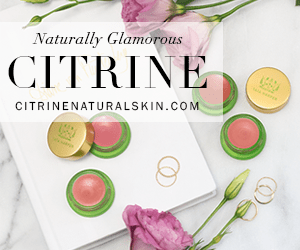 I have reviewed the line here, but wanted to let you all know that I have used this line almost everyday since I reviewed it, and will continue to use this lovely and efficacious skincare regimen. 5). 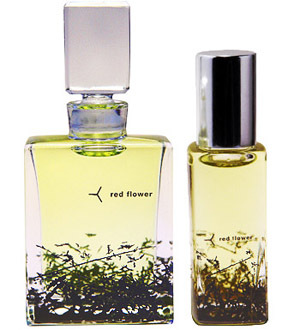 I remain steadfast with Red Flower Guaiac as my favorite citrus fragrance. Its rich, zesty, citrus quality is unparalleled, and the more I wear it, the more I become attuned to its woody aspect. I have had the good fortune of visiting San Francisco three times in the last eight months, and Guaiac has been my fragrance choice for each trip. This uplifting perfume now speaks to me of California, warm citrus, and getting away. 6). Ajne’s Fleur Blanche is hands down, the most gorgeous gardenia fragrance…ever. And I’ll stand by that proclamation too. I’ve introduced enough perfume-lovin’ fiends friends who go gaga over it to know that I’m not the only one who drools over this beauty. It’s creamy and buttery, yet slightly smoky and woodsy, with a luscious hint of indoles. A common (and frequently undeserved) complaint with naturals is that they don’t last long enough. I have never found this to be the case with Fleur Blanche. It lasts from morning to night, and hints of its soft petals can be discovered on your scarf and blouse the following day. 7). I’ve already reviewed Velvet & Sweet Pea’s Body Frostings twice on Scent Hive, so you know I love them. I use them almost every night to soothe my dry hands and to fall asleep with their creamy floral redolence. It’s difficult to pick one that I like the best, since it seems to be whichever one I have on at the time.Kashmir Rose and Tuberose Gardenia usually compete for 1st place, but Orange Blossom edges in closely as I do adore neroli and have been enjoying using this as a neck cream at night. 8). Finally, becoming a part of the perfume blogging community has been most touching to me this year. As an avid reader of blogs such as NowSmellThis, Bois de Jasmin, PerfumeShrine, TheNonBlonde and IndiePerfumes, I feel very grateful to have been supported by them and anyone who has taken the time to read Scent Hive. The perfume-loving community is filled with the most generous, kind-hearted and intelligent group of people a gal could ever hope to engage with. Thanks to Lucy of IndiePerfumes and Jessica of NowSmellThis for meeting me this summer in NYC, you two are fantastic! And Angela, another NowSmellThis writer extraordinaire, thank you for swapping scents and stories over the past several months. And thanks also to Elena at PerfumeShrine for your advice and encouragement when I was getting this ball rolling. You all are awesome. Please visit the following blogs for their 2009 highlights! Happy New Year to the Scent Hive community and all of your friends and family. Trish, your list is a sensual treat with such beautiful writing and images. I also wanted to tell you that your review of SIP Lyric Rain this past year really helped me to understand that strange and difficult scent. I look forward to exploring your blog further in 2010. Happy New Year to you! Lyric Rain is an interesting one indeed. I’m glad I allowed it evolve on my skin, as in years past I would have scrubbed it off after not “getting” its particularly intense opening. Thanks so much for reading and I hope you have a blessed new year. Off to read your 2009 post! Trish, has it been only one year that we met through cyber space? It feels so much longer, in a very good way! I am eternally grateful for the place Scent Hive holds here among the blogosphere of perfume. Like a sweetly scented flower for the bees to land on and breath in the beauty of of nature. You are too kind 🙂 It does feel like we have known each other much longer, but at the same time my 1st year of blogging seems to have flown by. It was such a pleasure to meet you in LA, and maybe 2010 will bring us another opportunity to sniff and chat in person! 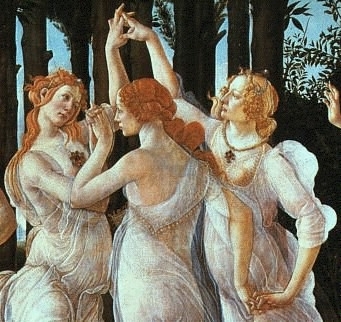 Trish dear, what an exquisite and thoughful post — the pre-raphaelites are so perfect for you, and there is never enough of them IMHO ; ) Congratulations on your first auspicious year of blogging, I’m proud to say I “knew you when…..”! Here’s to more of everything in 2010! 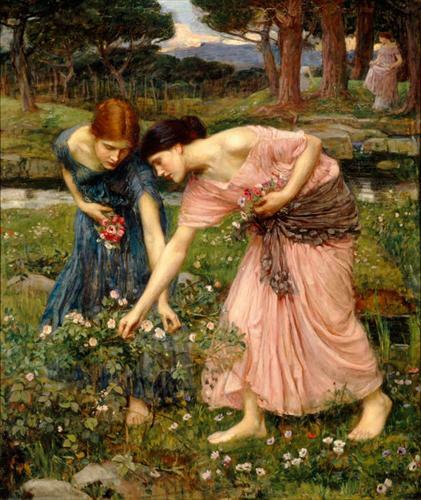 I do love those Pre-Raphaelites! It’s been a good year and I thank you so much for your support. I hope to see more blogging from you in 2010….always love to read your thoughts and ideas. It’s been a busy year hasn’t it? Hope 2010 brings you everything you’re hoping for! Best in 2010 for you and all! Thanks so much Shay! I’m glad we discovered each others’ blog this year. I am very intrigued by the movie you mentioned, PERFUME: The Story of a Murderer. I need to put that on my netflix list! ohhhh… you haven’t seen or heard of it? wow! it is about a man who becomes quite disenfranchised because of his freakish ability to distinguish the most delicate and nuanced of single perfume components. amazing movie really. can’t wait to hear what you think! I know, crazy right? I’ve got to get on it and see that film! I just adore reading your blog and seeing your delight in discovering natural perfumes, one after another. Enthusiasm is one thing – following through with dedication and promoting the art is another, and the NP community has a true champion with you. I want to wish you a wonderful Two Thousand and Zen and lots more delightful natural scents to thrill you on your scented path. Two Thousand and Zen, I love that Anya! Lovely list, Trish! Such a pleasure to read and ponder. There are some things here I really want to try for myself. Thank you! Ah….and here you are after a full blogging experience and we’re all better for it!! Thanks for your highlight of those wonderful artisanal perfumers who truly need all our support and you provide it so amply. Here’s to a lovely and beautifully scented 2010!